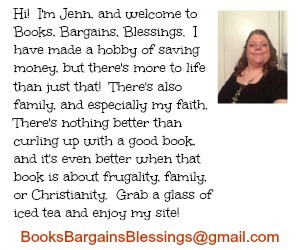 Books, Bargains, Blessings: Flash Flood on a Mountain! Flash Flood on a Mountain! I went to the kitchen this afternoon to pour myself another glass of iced tea and looked outside and this is what I saw! There were some better photos posted by others on Facebook, but since I didn't take those, I didn't want to use them on my blog! It was unreal how much water was in town about a mile from here! I think our basement is flooded. I'd rather not look right now!